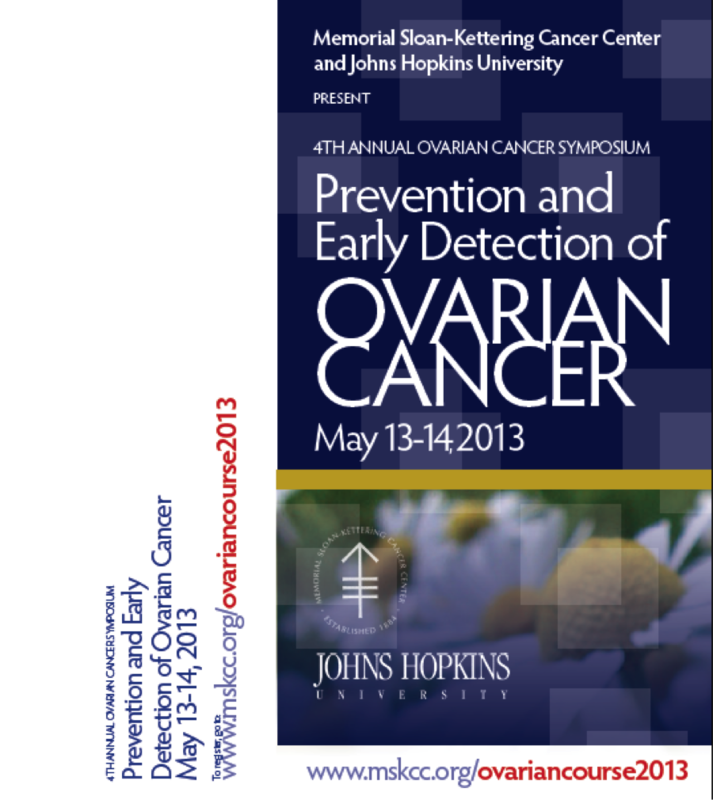 The purpose of the Ovarian Cancer Symposium is to promote dissemination of research findings and interactions among researchers. 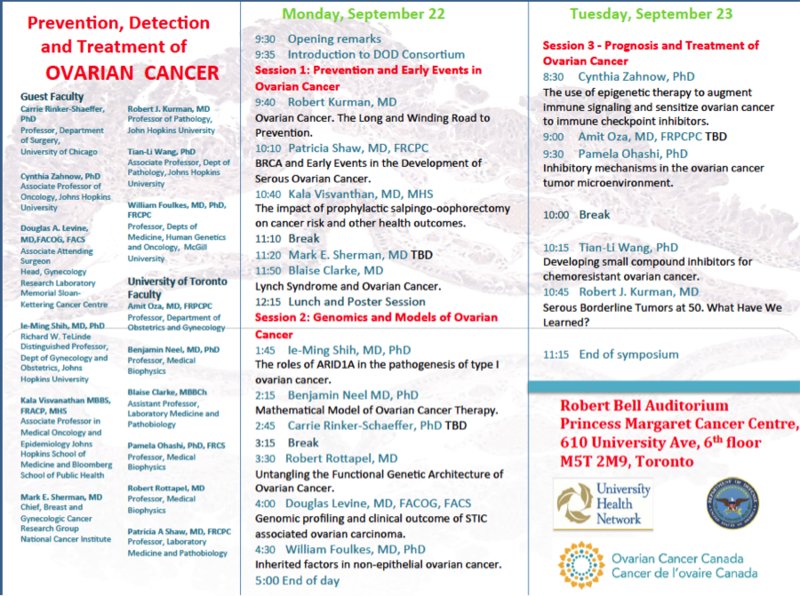 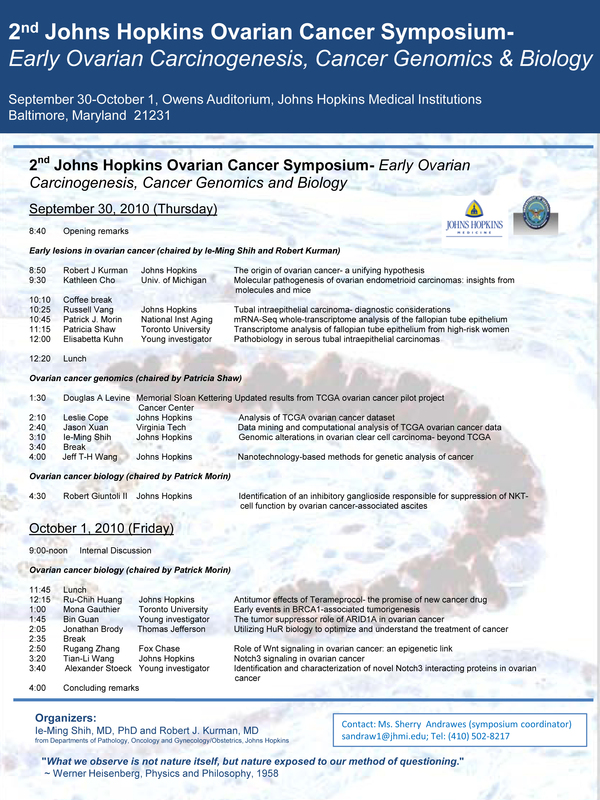 Furthermore, the symposium serves as an educational forum for trainees and young investigators to learn about ovarian cancer research. 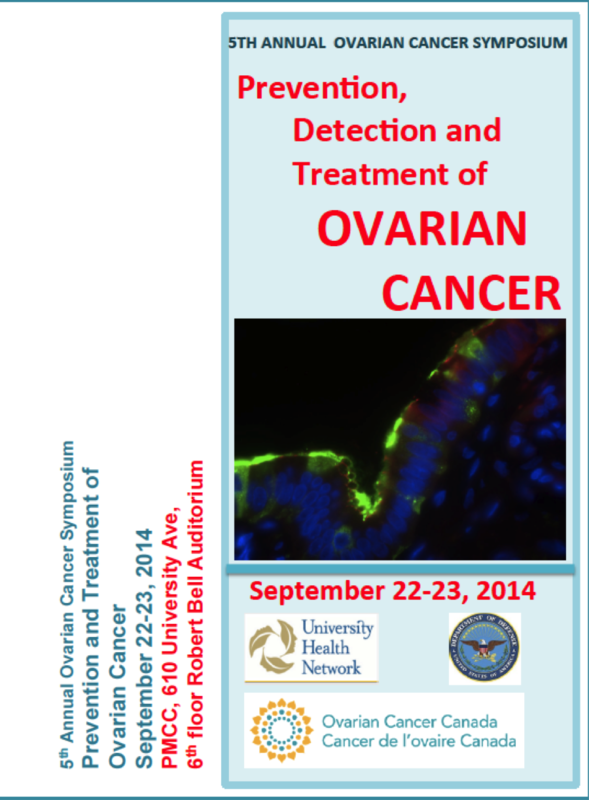 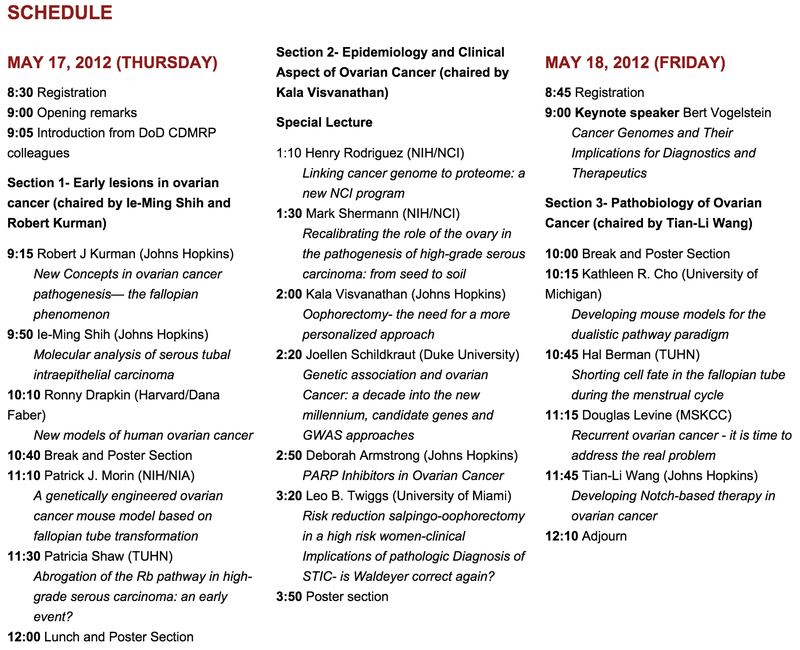 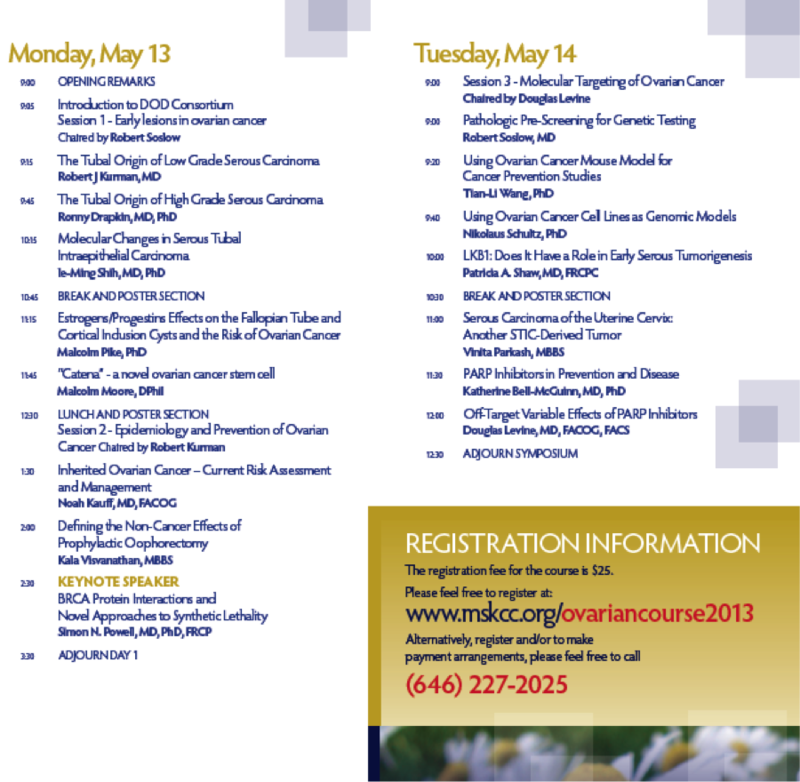 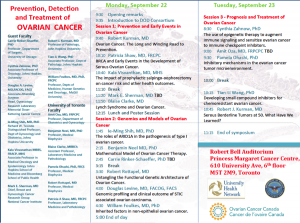 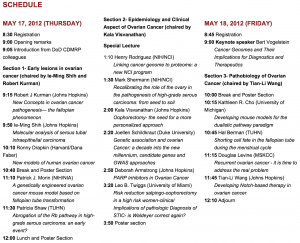 The symposia focus on the identification and characterization of “ovarian” precursor lesions. 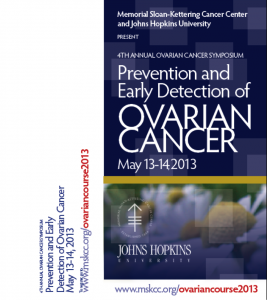 Moreover, different related topics in ovarian cancer research, such as new strategies in preventing ovarian cancer and novel target based therapy, have also been covered. 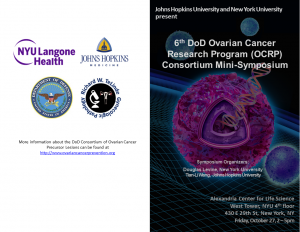 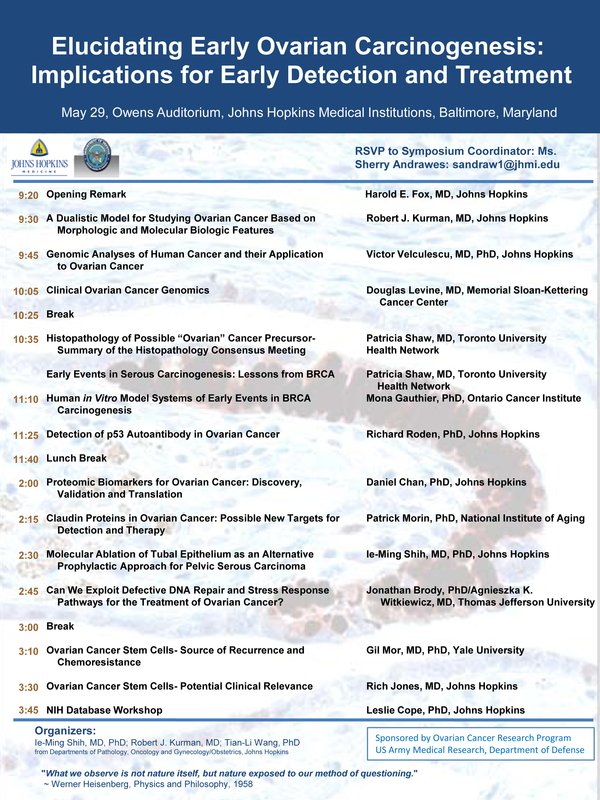 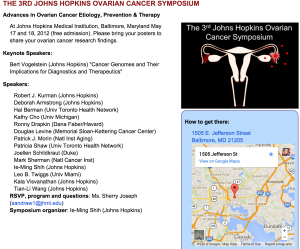 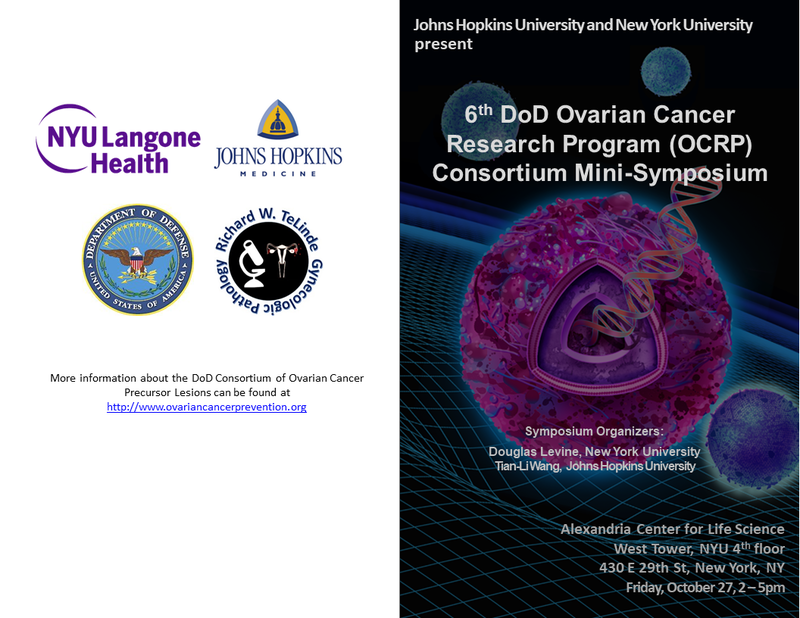 The JHU Ovarian Cancer Symposium was first initiated and was in part sponsored by the DoD Ovarian Cancer Consortium development award. 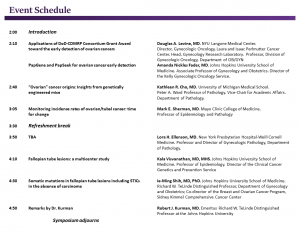 The symposia are open to the public and are free for registration. 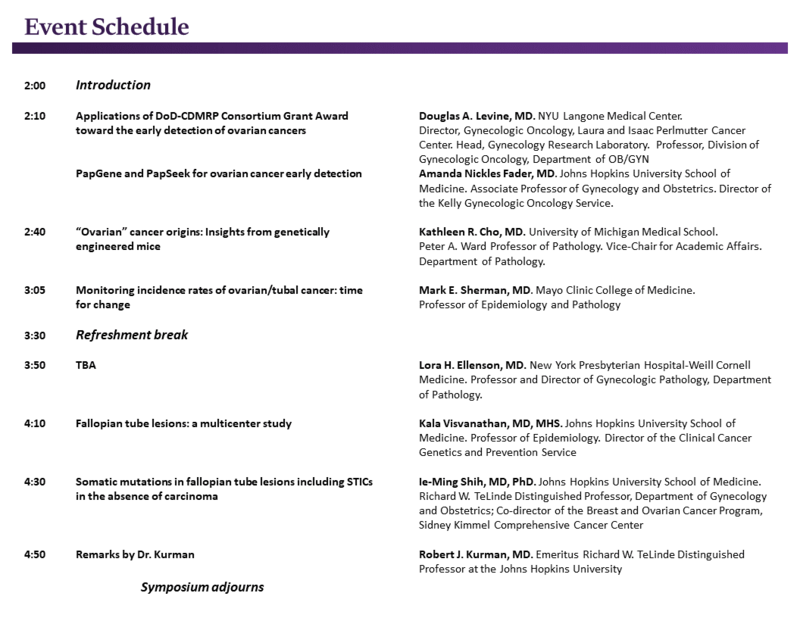 The symposium agenda and topics of presentation can be viewed below.